I was paired with Amanda from Sweeties in 2nd! She is the sweet one, because look at my box! Amanda understands that when you're a 1st year teacher, you hardly ever think about yourself...so that's what my box was all about, spoiling myself! :) SHE GOT ME PERFECTLY! If she only knew how much I LOVE nail polish! 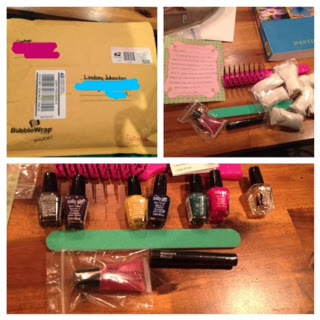 She sent me colors to match my high school that I coach cheerleading for and the school I teach at, as well as my favorite colors and some top coat! If you saw my toenails, you'd be glad Amanda sent me polish, too! Seriously, it's bad. She also included a file, lip gloss, mascara, and a brush that I love because it is vented which means it speeds up the drying process! Which is fantabulous because I hate drying my hair! TOO MUCH TIME AND EFFORT! Seriously, I love my box! 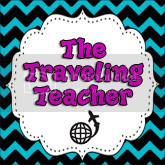 I was also paired with Lauren from The Traveling Teacher! I sent her a box of goodies with the main idea of things I tend to forget in the mornings while in a hurry! I also included something for her classroom and a bracelet, because you know we hardly ever buy something for ourselves! 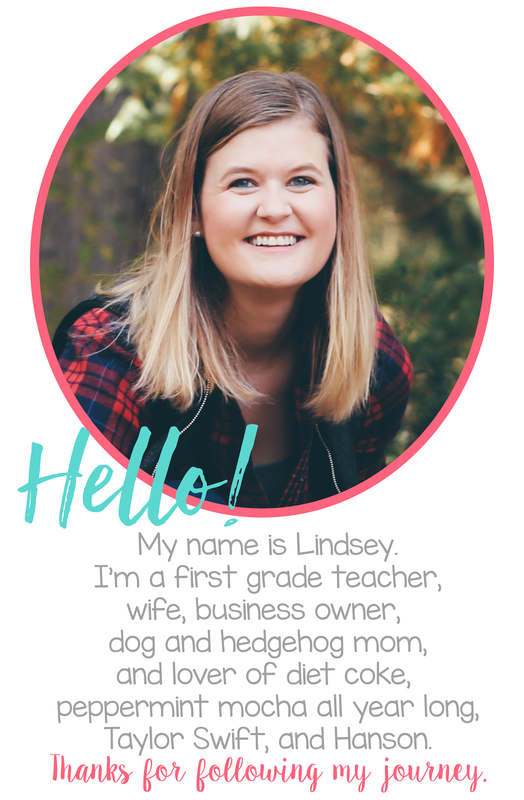 To check it out, visit her blog! 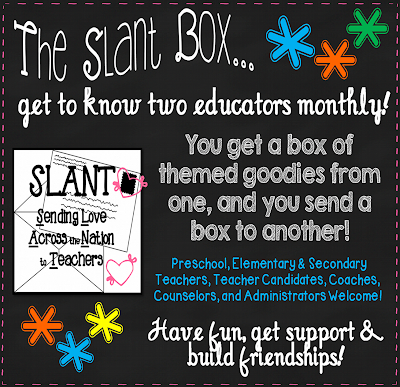 I just love SLANT boxes! SO MUCH FUN! 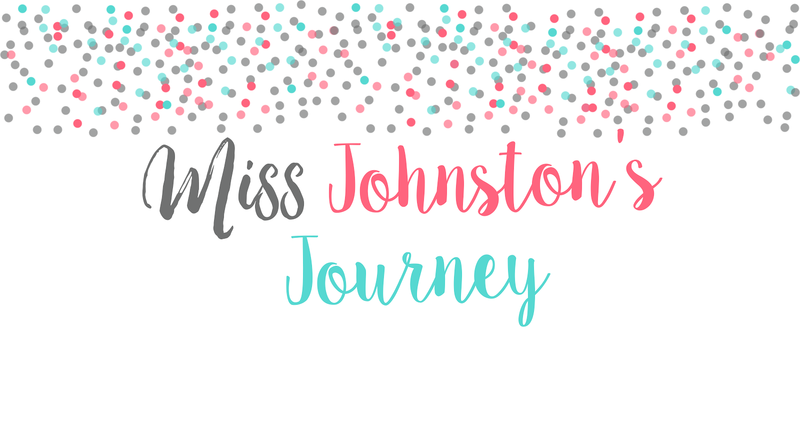 If you haven't heard of it, head on over to Jameson's blog, Lessons with Coffee, to check it out! You have until tomorrow to sign up for October!